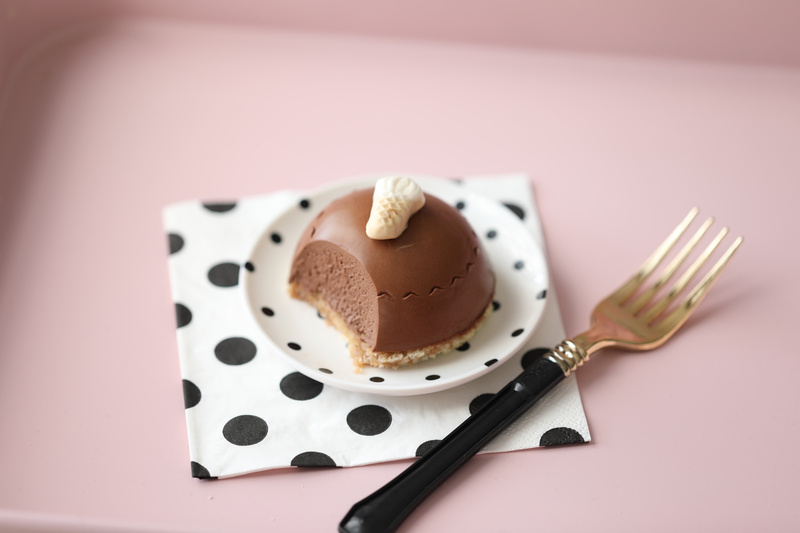 Sharing the recipe today on my blog, for mini Chocolate cheesecakes. 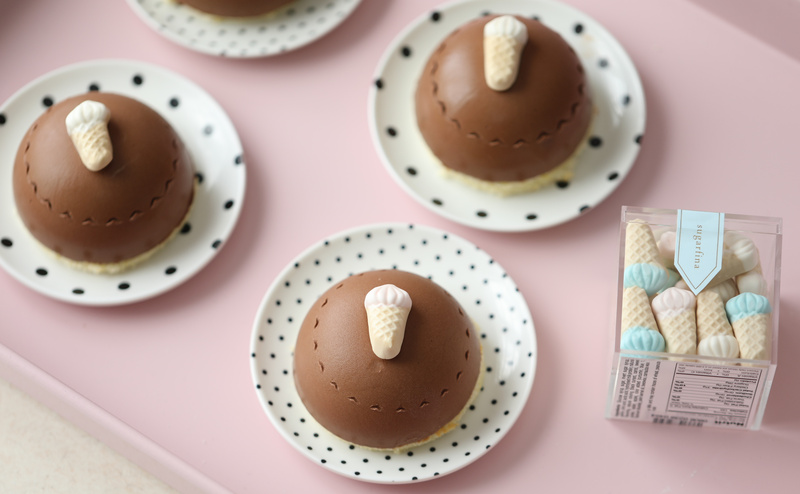 These mini cheesecakes are so cute, I decorated these cheesecakes with a mini ice cream cone candy surrounded by an imprint, giving them a beautiful vintage flair. 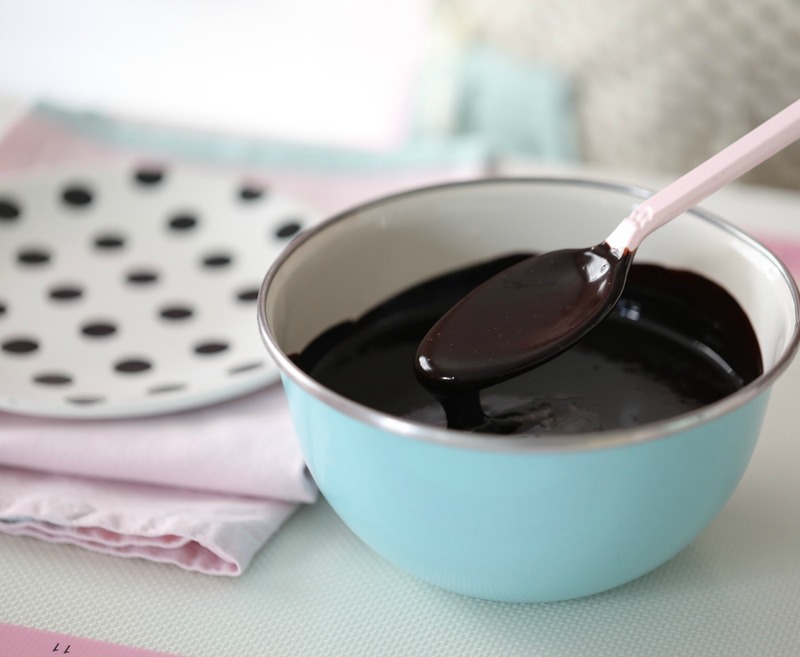 And anything with dark chocolate is perfect, and these are so good. 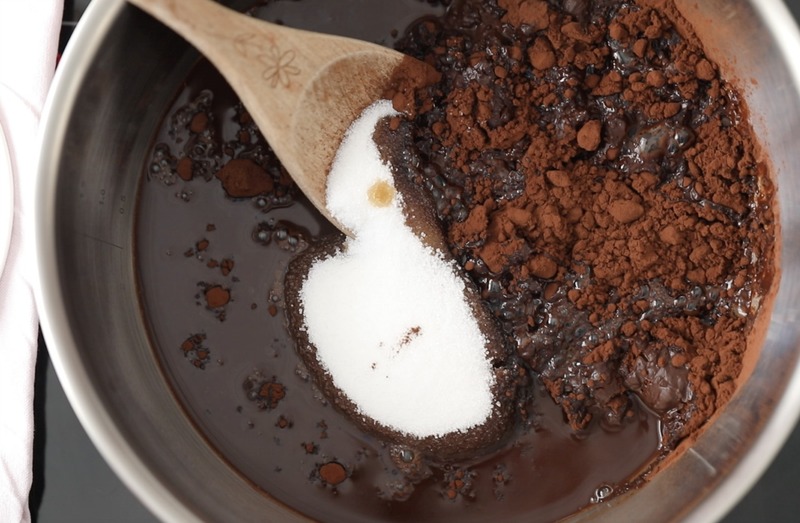 Make sure to use a good quality dark chocolate and cocoa powder as it really makes the difference in taste! 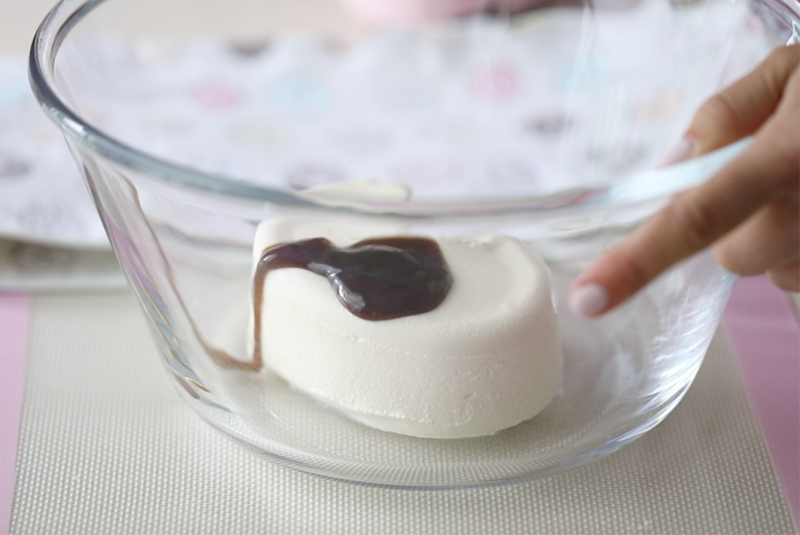 In this recipe I use gelatin leafes, if you cant use that you can still make these, just ommit the gelatin leafes, and freeze these an serve it as a mousse or ice creams instead. 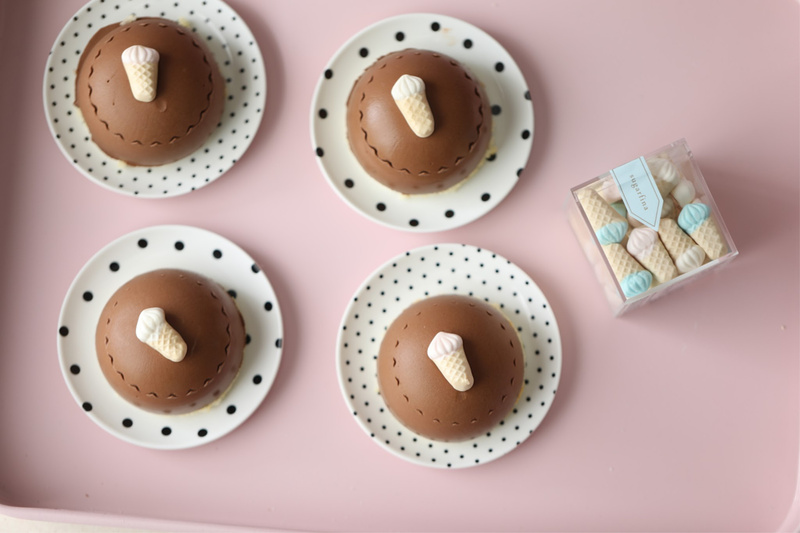 And there are a few steps to make these, but that said it is easy to make! 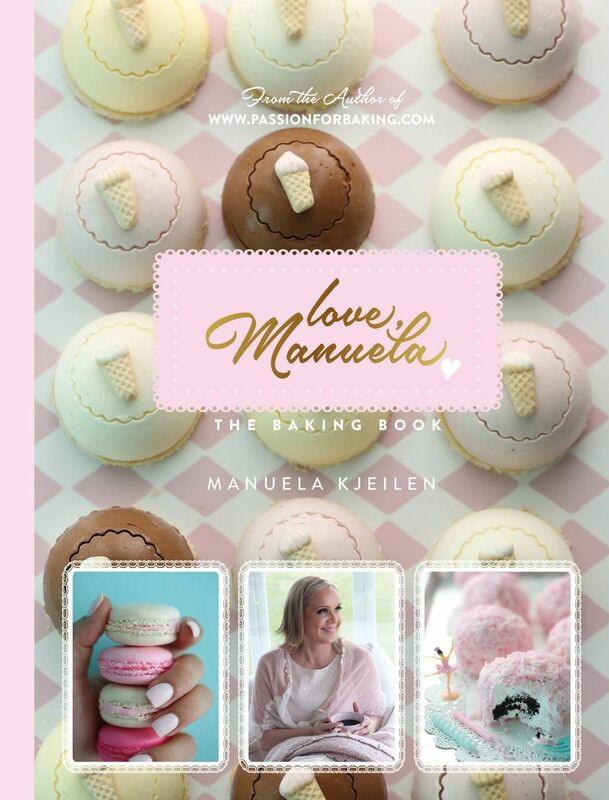 The candy I used I bought in Chicago at sugarfina, but you can use any candy, make sure to place it on the cheesecake just before serving. 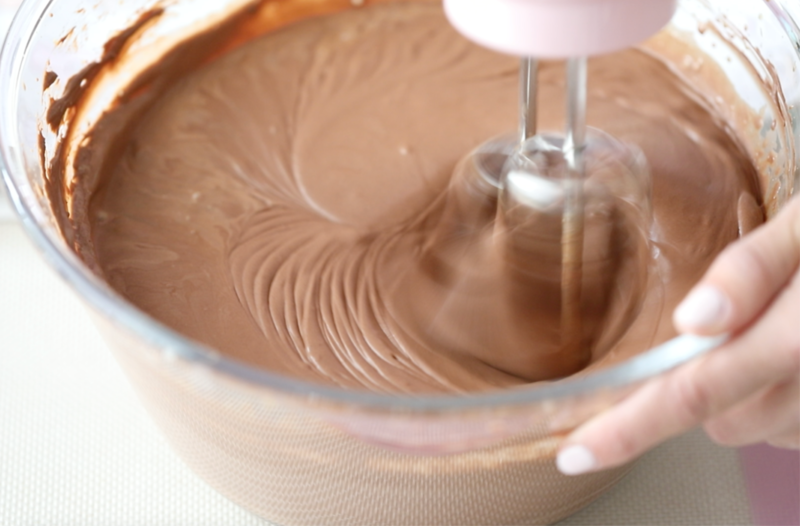 Add the dry ingredients to the egg mixture in two additions and carefully mix it together on low speed, just a few pulls until combined. 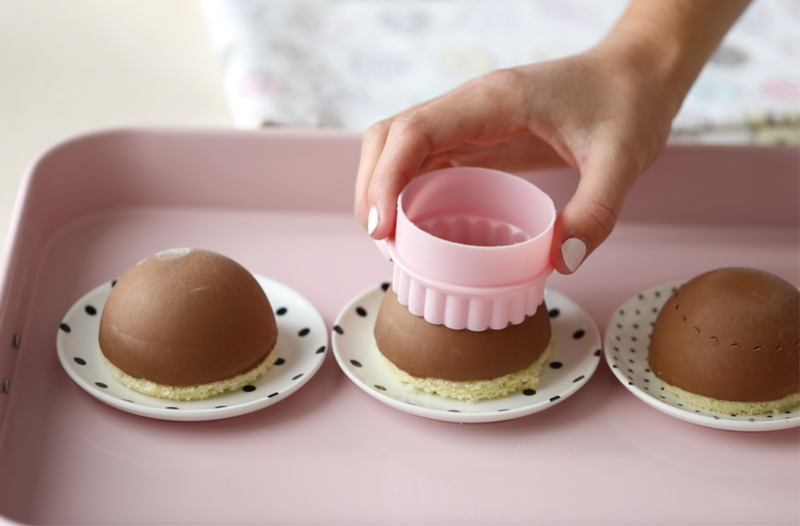 Use a round mini cookie cutter, the same size as your silicon molds and press out mini cakes for your chocolate cheesecakes. 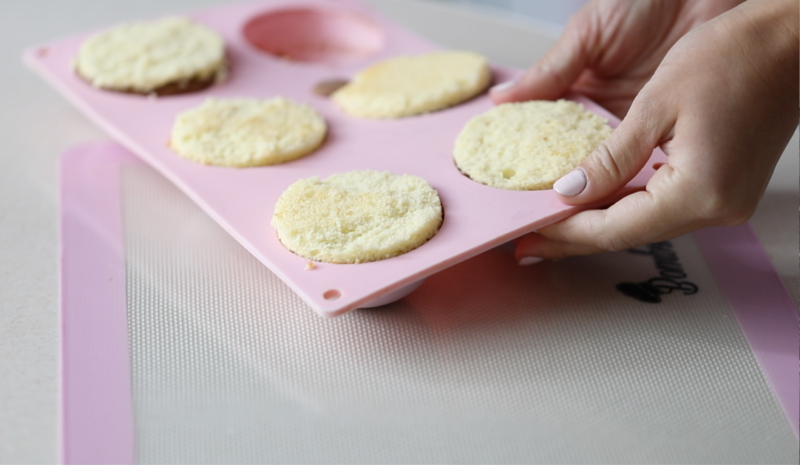 Place two 6-Cavity half circle silicone molds on baking sheets and set aside. 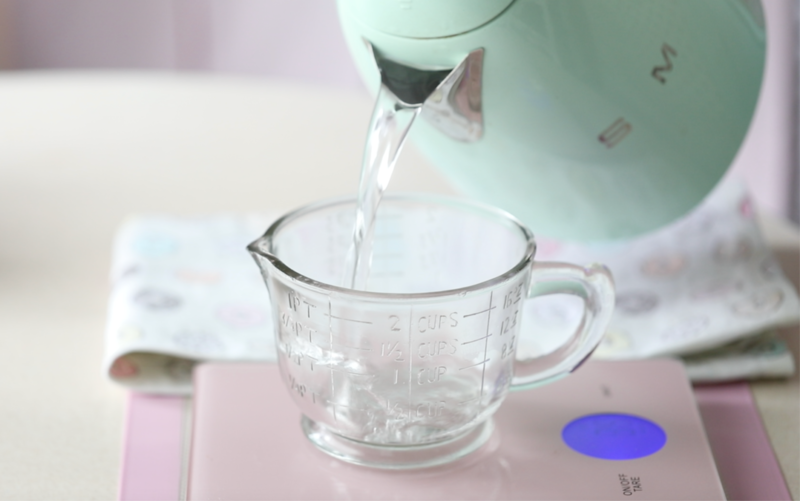 Place the gelatine leaves into a bowl of cold water for 10 minutes. 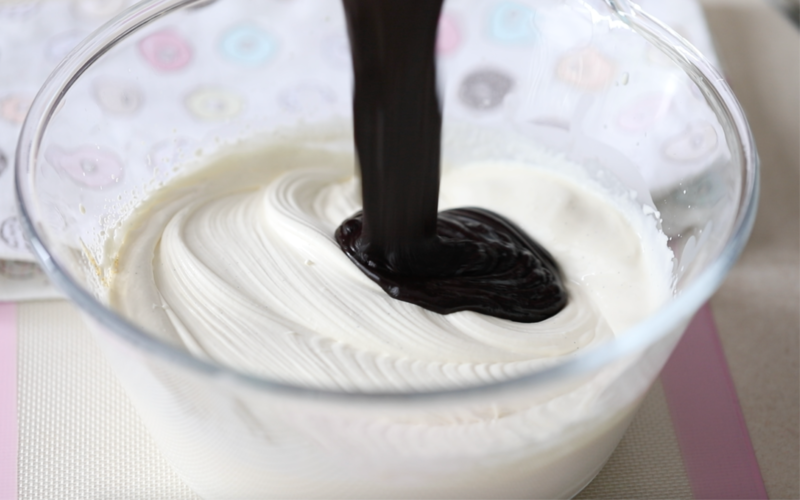 Combine the cream cheese, vanilla bean paste, and heavy cream in a large bowl. 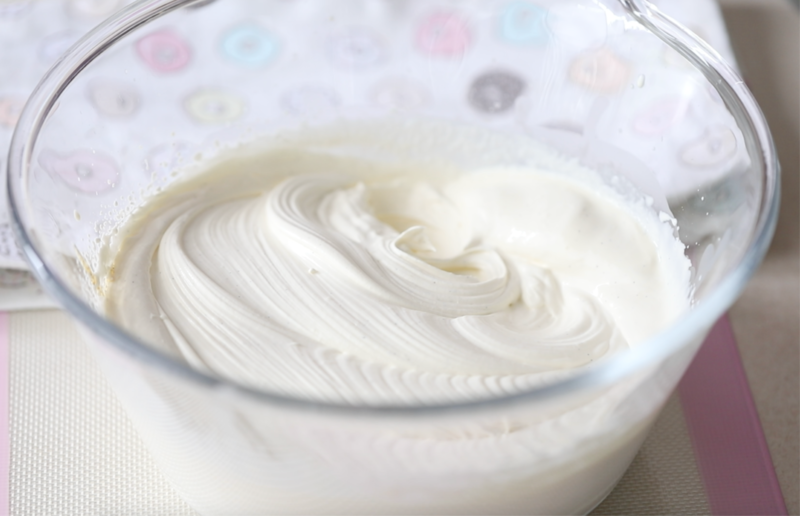 Beat on medium-high speed for about 3-4 minutes, or until the mixture is creamy and fluffy, scrape down the side the sides of the bowl if needed to make sure it is all combined. 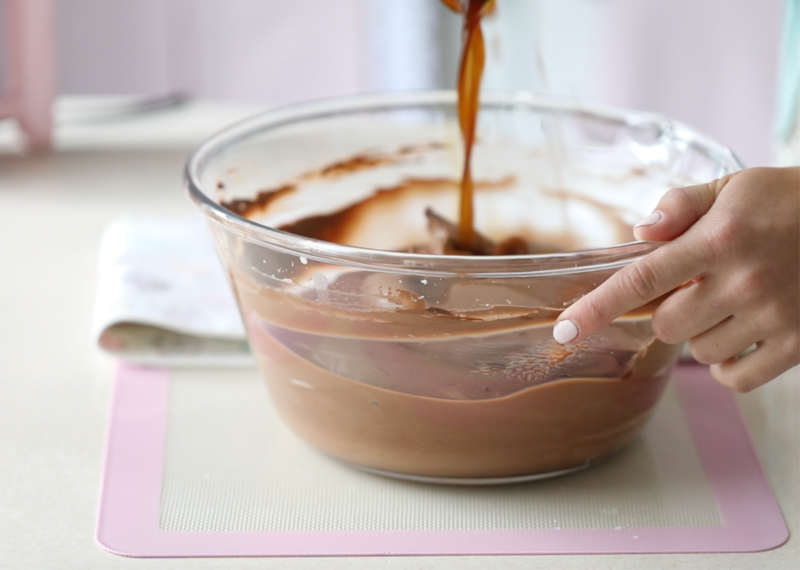 Add the warm gelatin/coffee mixture to the cheesecake batter, and combine beat for some minutes. 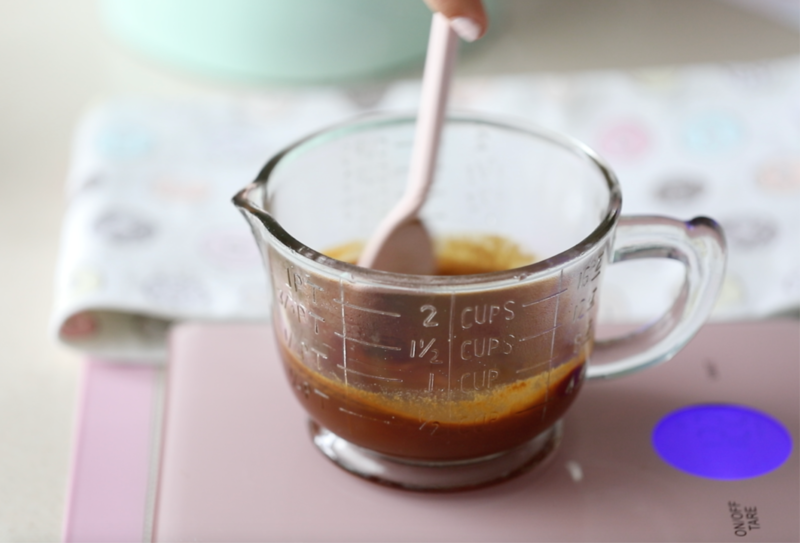 Because of the warm coffee, the mixture is at this time a bit liquidy, which is perfect if you are using silicone molds, as it will lay perfectly into the molds and give you a perfectly round shape when you remove it out of the molds later on. 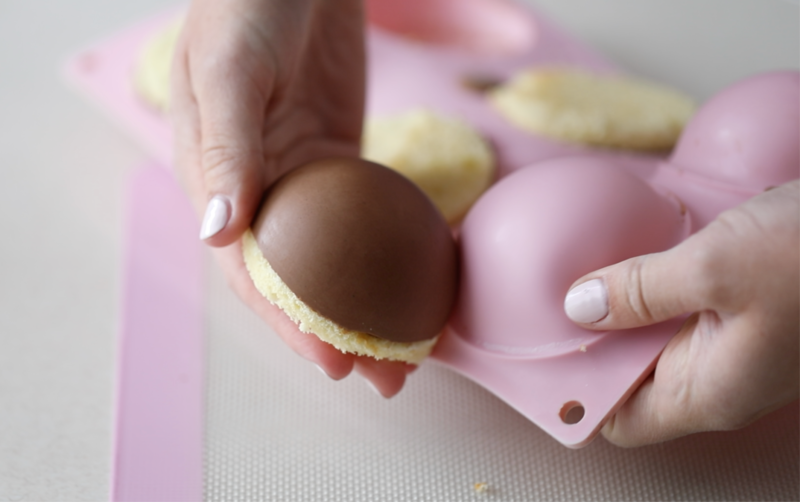 Divide the cheesecake batter evenly among the half circle silicone molds. 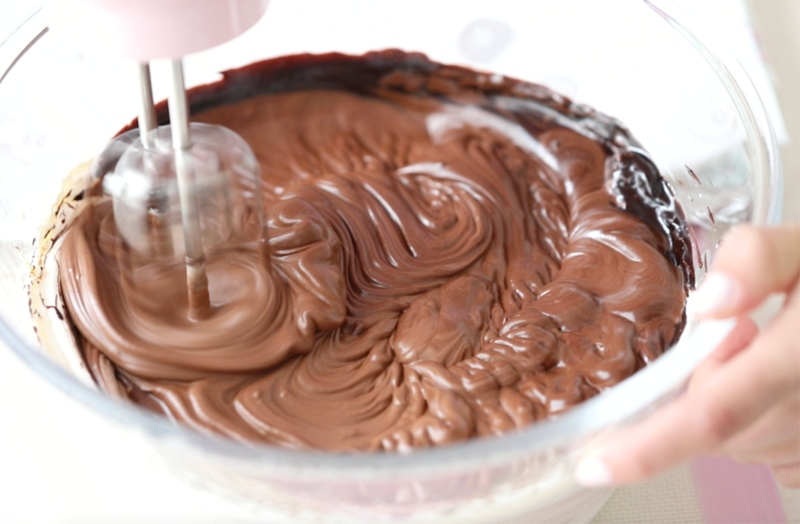 Take a palette spatula and run through batter to make sure there are no air bubbles in the batter, then smooth out the tops. 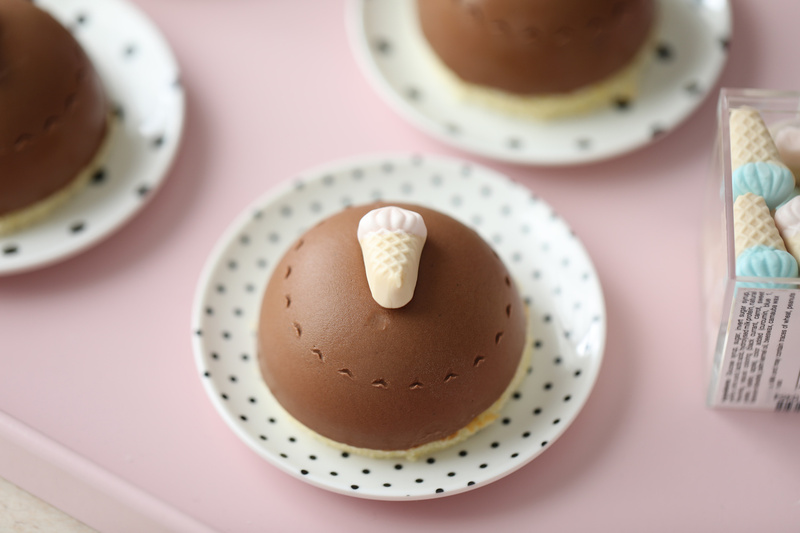 Place a sponge cake round on each cheesecake. 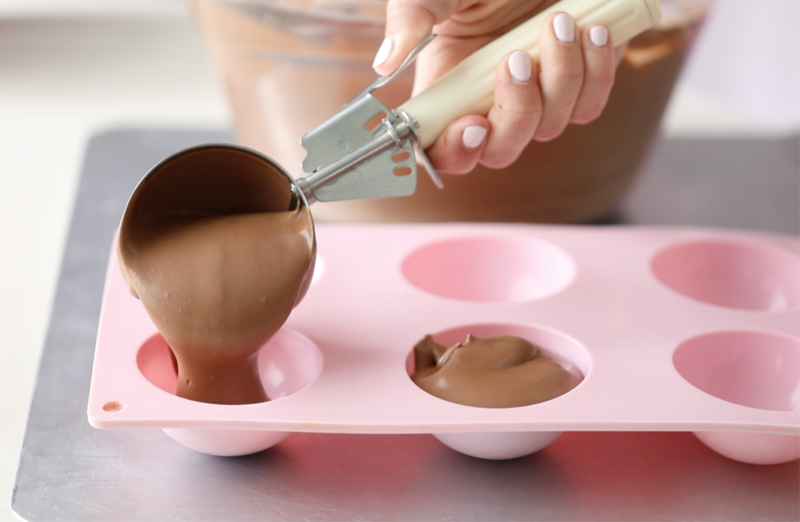 Freeze these cheesecakes 1 hour before serving for an easy, perfect release from the mold. 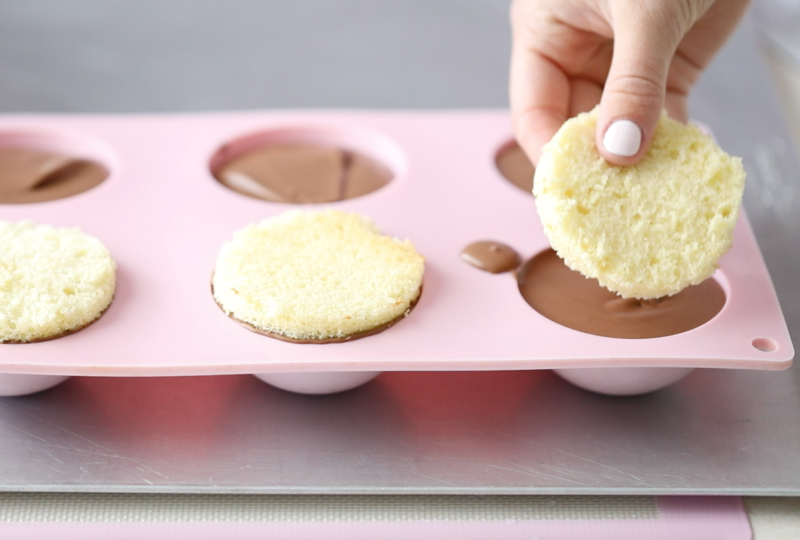 Lett the mini cheesecakes come to room temp about 20 minutes. 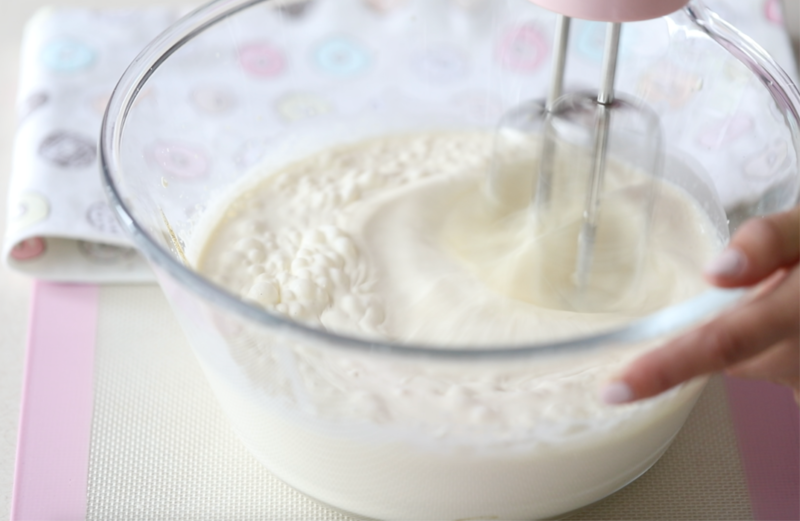 To make an imprint on each cheesecake, take a small round fluted cookie cutter, use one that fits on top of the cheesecake and lightly press against cheesecake and quickly remove. 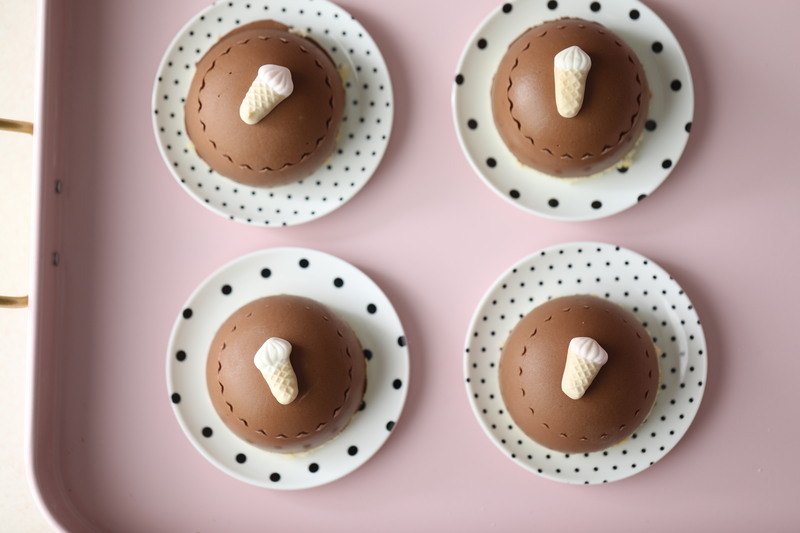 Just before serving, Top the center of each cheesecake with a cute ice cream cone candy, or another candy that you prefer for a chic, vintage look.